A Binga family is struggling to come to terms with the mysterious skin disease that has affected two siblings and is in dire need of assistance from well-wishers in ensuring that the children get specialist treatment. 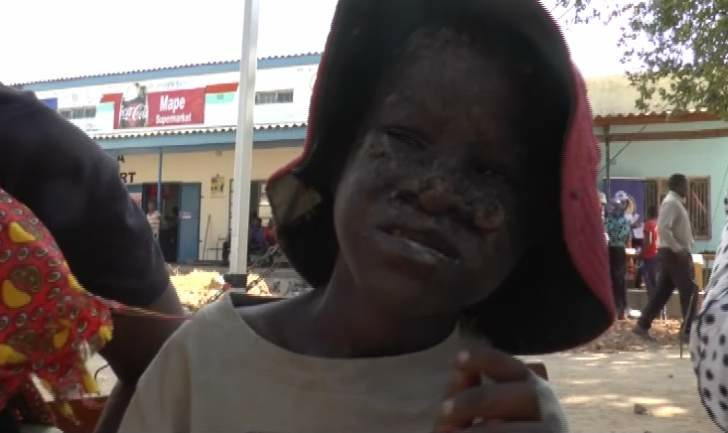 Six-year old Budget Munsaka and his sister, three-year old Chibotu Munsaka of Katondola village have developed a mysterious skin condition which has left so many sores on their faces. The rare and painful skin disease developed when the children reached nine months after birth and efforts to get help from doctors have not yielded any positive results. With the help of well-wishers, the two children were once taken to Mpilo hospital in Bulawayo and unfortunately could not afford the prescribed medication. Besides not being employed, the two children’s mother has a hearing problem and the family struggles to make ends meet. A concerned villager from Binga, Mrs Loreen Mpofu has made a plea on behalf of the family for well-wishers to assist in ensuring that the children get support in the form of food, clothes and most importantly access to specialist treatment. "During one of our church services, l met the family and realised that it has a serious problem. It seems the condition keeps on getting worse and I do hereby appeal for those who can assist to help this family," she said. The situation is getting worse for Budget, who has also developed an eye cataract. Despite the difficult situation, the Munsaka family is still determined and hopeful of getting help which will put the two children on the road to recovery. Those wishing to assist the two children can contact Mrs Loreen Mpofu on 0774 375 775 or 0712 594 610.